Ruin Me is a motley mix of horror tropes, as it represents a wide spectrum of influential films in our beloved horror genre. However, do not think for a moment that anything in this film is what it seems. Like a bimbo with a brain, Ruin Me surprises in all the right places. Marcienne Dwyer, before seen in 2013’s The Impaler, is Alex, a frail-nerved girl who reluctantly joins her boyfriend, Nathan (Matt Dellapina) on an extreme horror experience called Slasher Sleepout. As the synopsis prepares us for some bloody scenes on a camping trip, you could not be blamed for eye-rolling, as Alex is the only one of the group who is not a horror fan. At first, the film seems like a typical rip-off of Wrong Turn 2, where a group of horror fanatics line up for a challenge they all paid for while a grimy hillbilly attempts the drill sergeant routine on them to clarify the rules of the game. 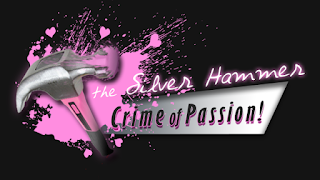 It introduces us to the band of typical characters in such scenarios, citing that all Goths are sluts and assholes to make the bland, seemingly good girl Alex look more boring than a beige wall. At first. As the proceedings unfold, the group is ‘kidnapped’ to their location, snide remarks run rampant and personalities are gradually revealed to help us decide who to side with, who to wish dead and who to feel sorry for. So predictable! Or is it? You soon realize that these anticipated settings might just be deliberately staged by writer/ director Preston deFrancis, who has worked on projects like The Knick (from director Steven Soderbergh) and the miniseries Olive Kitterige starring Frances McDormand. DeFrancis plays with the audience as much as the characters in that he presents predictable slasher moments only to sucker punch you with something different and it is lovely. Dwyer is not your typical end girl, but she is on point with the plethora of emotions and reactions when Alex realizes that the fun scare trip her boyfriend coaxed her into might just be real. The film takes us through the typical slasher motifs until it takes a sharp turn into something more prominent than empty, young-people slaughter. Alex is confronted with her past, her fears and her instability to a point where the audience is just as confused as she is…but in the good way. DeFrancis (and co-writer Trysta A. Bissett) keep us guessing as they drag Alex deeper into unfamiliar territory and introduce just enough twists to punish us for guessing the obvious. 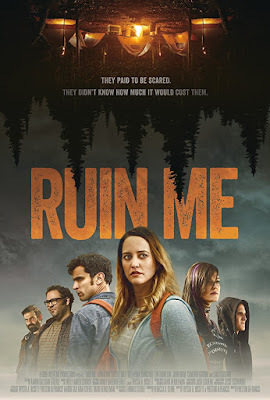 Ruin Me harkens back to the Scream franchise, mentioning and referencing not-so-obvious horror films in its script that separates mainstream viewers from true horror junkies. The climax is worth all the guessing. 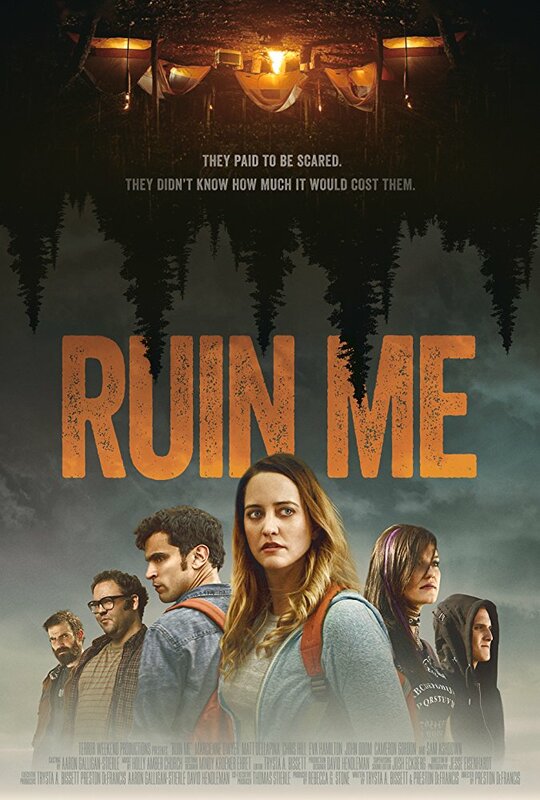 Not being much of a slasher fan, I found Ruin Me refreshing and tense right up to the last twist. 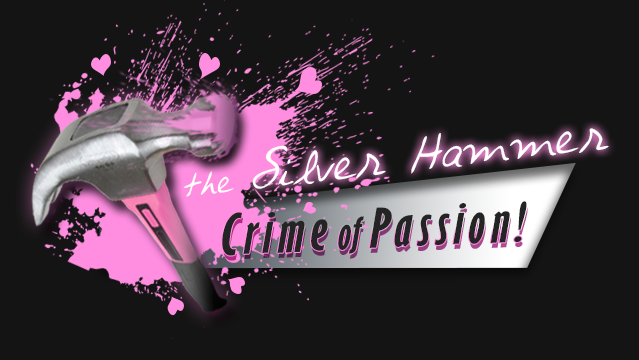 It is action-packed, well-paced and mysterious throughout. Get popcorn for this one.